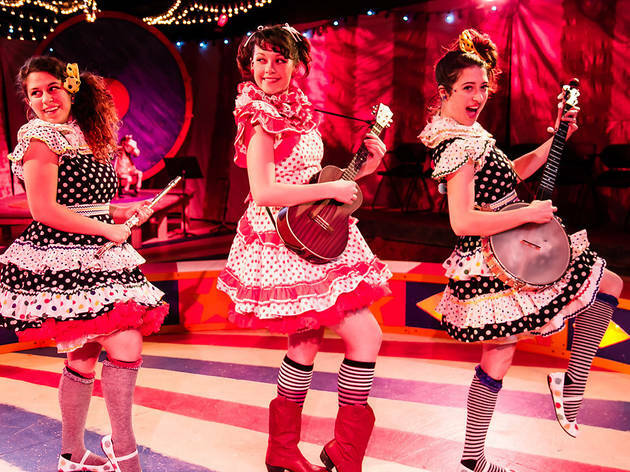 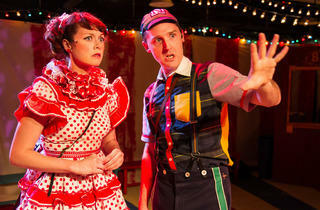 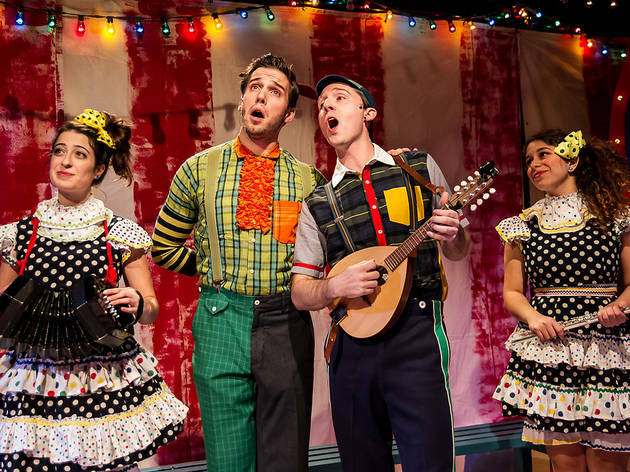 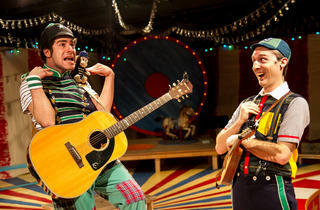 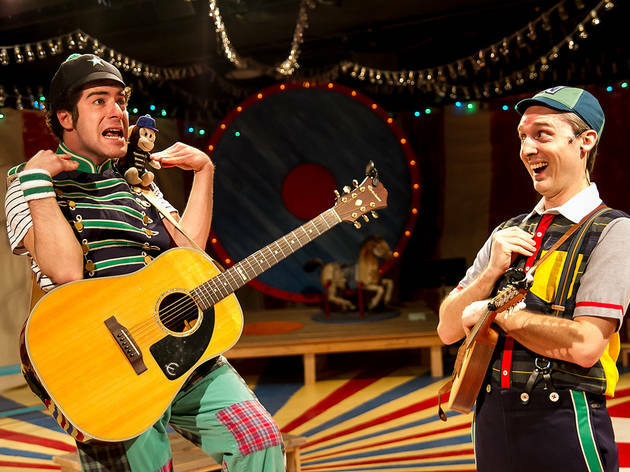 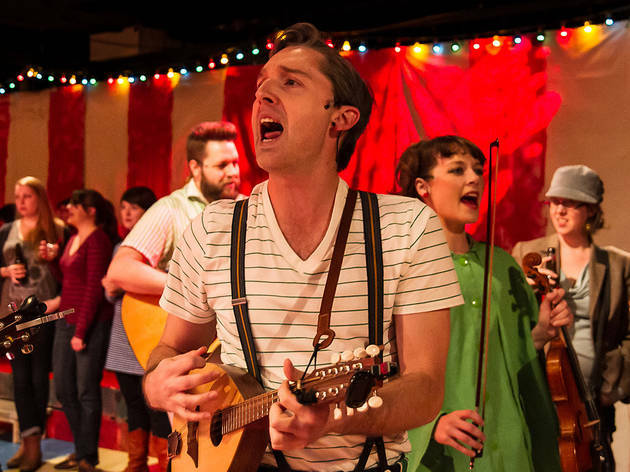 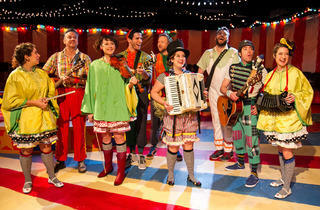 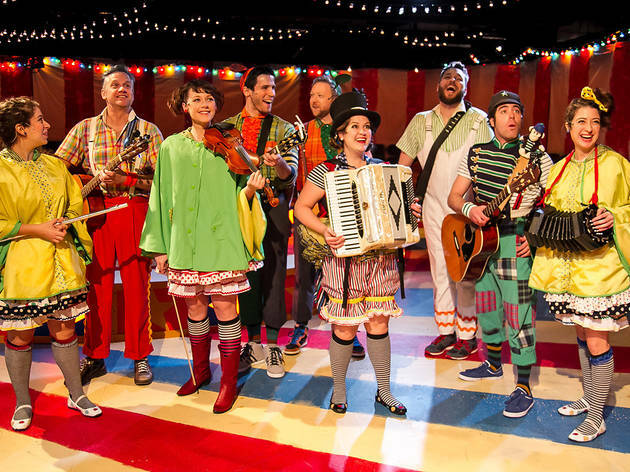 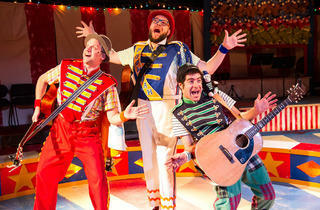 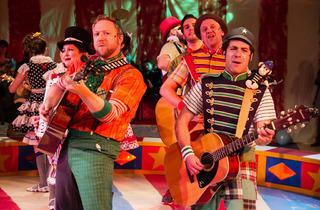 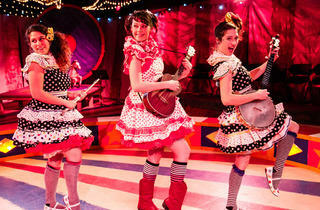 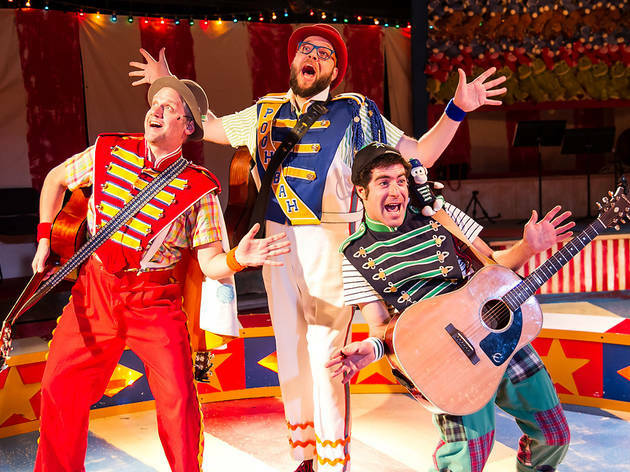 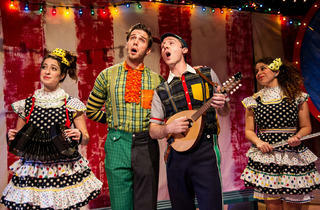 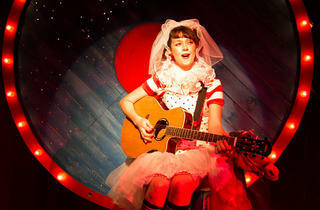 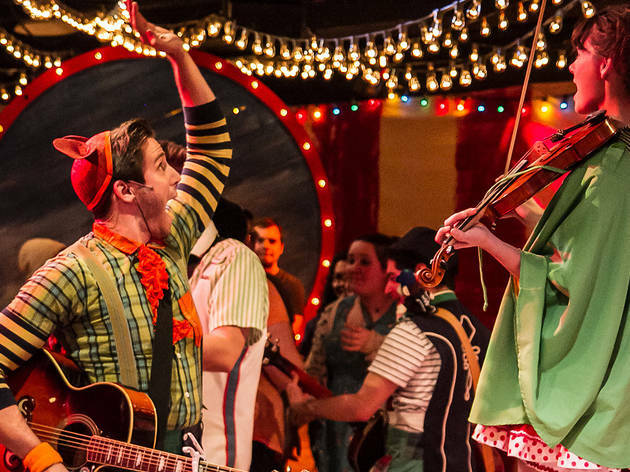 The Hypocrites' joyously immersive Gilbert and Sullivan circus returns for a second giddy go-round. 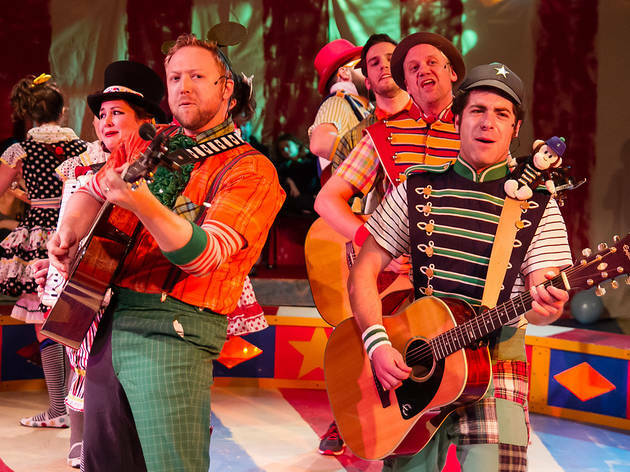 Joining Hypocrites founder Sean Graney's 2010 adaptation of The Pirates of Penzance as part of a growing company repertoire, Graney's romping edit of The Mikado returns after debuting last holiday season—and this edition feels even giddier than the last. 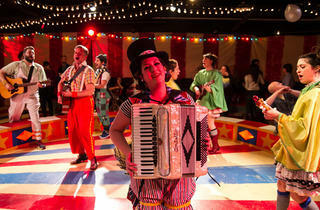 The balloon-laden, carnival-like setting (by which Graney steers clear of Gilbert and Sullivan's most egregious Orientalist leanings) shifts this year to the Steppenwolf Garage, whose completely open layout (free of the Chopin Theatre basement's sightline-blocking support pillars) makes the promenade staging feel that much more airy and inviting. 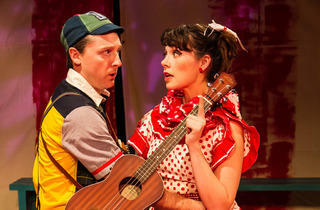 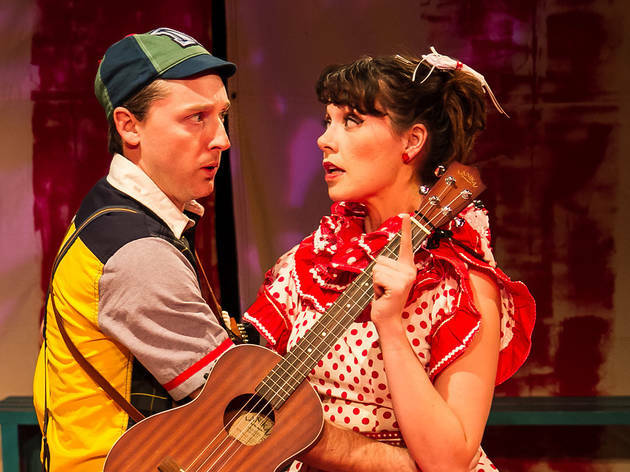 Most of the cast of ten actor-musicians returns from the original production—Jim DeSelm and Kate Carson-Groner are the sole newbies—and the ensemble is tigher than ever. 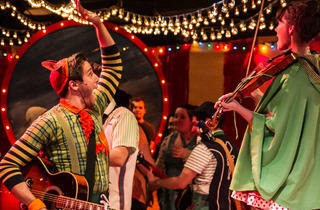 Many of The Mikado's cast members have also been a part of The Pirates of Penzance's many incarnations, including three winters at the Chopin, two summer runs at Boston's American Repertory Theater and an upcoming January slot at Actors Theatre of Louisville, and the familiarity and comfort that comes with that kind of extended association is palpable: a remarkable mix of looseness and trust. 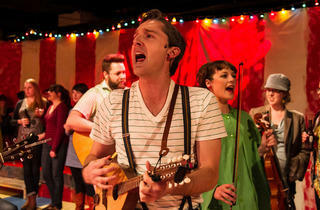 The terrific likes of Matt Kahler, Rob McLean, Zeke Sulkes and Christine Stulik display a confidence in one another that allows them to improvise here and there as warranted by their interactions with the audience. 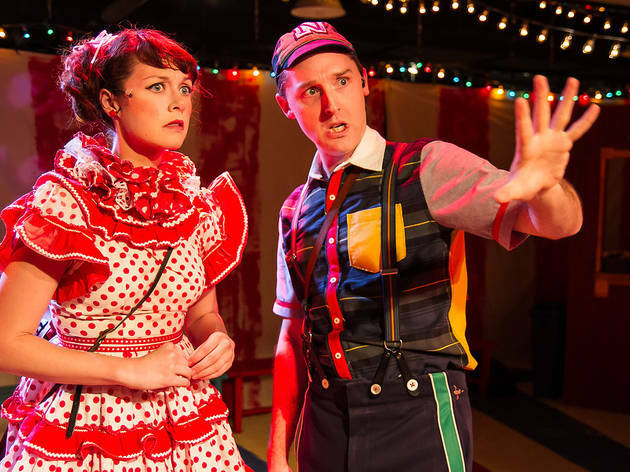 Shawn Pfautsch and Emily Casey's comedic chops have only improved in their respective dual roles as Nanki-Poo/katisha and Yum-Yum/the Mikado. 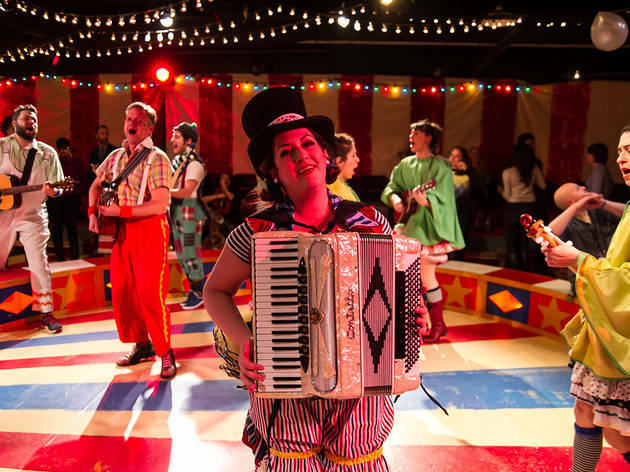 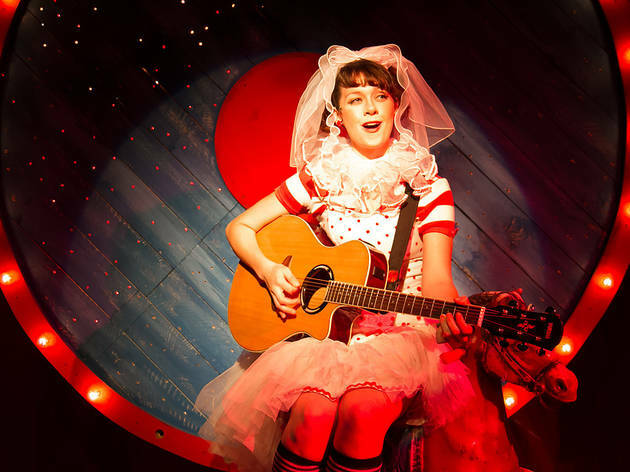 And whether it's better acoustics and sound tech in the Garage or music director Andra Velis Simon and the cast upping their games, the Hypocrites' musicianship has never sounded better.